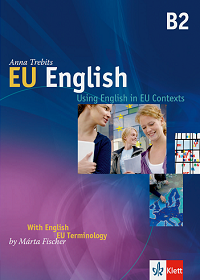 The book is designed to give intermediate (B2) level learners of English an introduction into the institutions, decision-making processes and policies of the European Union, to help them master the specialized vocabulary of EU documents and to improve their ability to communicate in real-life situations. It is unique in a number of aspects. Firstly, it combines a syllabus based on EU content with systematic skills development involving the four core skills (reading, listening, writing, speaking), and featuring ‘how to boxes’, ‘small talk sections’ and ‘internet research projects’, as well. Secondly, the tasks in this book are based on authentic materials taken from a large collection of English language EU documents (EU corpora), which makes it possible for learners to learn how language is really used in English language EU documents. 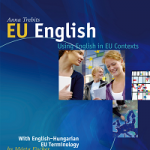 In addition, it gives an insight into the multilingual functioning of the EU and a detailed, learner-friendly English-Hungarian glossary with the most up-to-date standard EU terms and with references to the changes introduced by the Treaty of Lisbon. Write us to tell us about your experiences using the book – we’d love to hear from you!